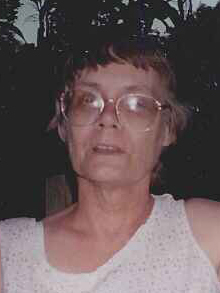 Remembering Karen Sue Edington Brooks | Remembering Karen Sue Edington Brooks | De Soto Obituary Search | Dietrich-Mothershead Funeral Home, Inc. Remembering Karen Sue Edington Brooks | De Soto Obituary Search | Dietrich-Mothershead Funeral Home, Inc.
Karen S. “Sue” Brooks was born on November 27, 1942 in Corning, Arkansas. She was the daughter of Cecil & Pauline (nee Barcliff) Edington. She died on January 18, 2017 at her residence in De Soto, MO at the age of 74. 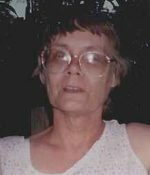 Sue is survived by her 5 children, Tammy (Tim) McDonald of Lonedell, MO; Debra (Greg) Smith of Bonne Terre, MO; Ken (Jeannie) Brooks, Jr. of De Soto, MO; Karen (Don) Mitchem of De soto, MO; and Vicki (David) Thurman of Bismark, MO; her sister, Shirley (William) Burgess of Desloge, MO; several grandchildren, Dustin (Kari) Brooks, Holly Brooks, Ashley Hayes, Alesha Hayes, Alexis Hayes, Cody (Angie) Smith, Sara (Brad) Tinker, Donnie Mitchem, Gabrielle Mitchem, Dylan Mitchem, Bryan Roberds, Lindsay Roberds, Shannon (Philip) Denton, Tyler McDonald, Alexander McDonald, Kylie McDonald, Christopher McDonald, & Luke McDonald; great-grandchildren, Chase, Steven, Addison, Easton, Leo, and Riley. She was preceded in death by her husband, Kenneth Brooks, Sr., her parents, her brother, Gary Edington; and one great-grandson, Logan.